To catch up: part one and part two. This whole bribery thing is working pretty well — I’m actually getting a lot done on the machine quilting front: I’m pretty excited about this little mini-quilt and want to get back to it as soon as I can! Last year, when I made the Radiant Star Quilt, I did a pretty long tutorial about how I make tiny half square triangle units (HSTs). That is a great technique for getting perfect small ones, but it can be a bit fiddly (OK, a LOT fiddly…), and it isn’t appropriate for the larger, scrappy HSTs I’m making for this small quilt. And then, after I unbury my sewing machine, find the right thread, fill a bobbin, and oil the sewing machine, I sewed them all up into HSTs. I’m going to cut them down to size so it doesn’t matter that no matter how careful I am, I can’t seem to sew these together without some of them ending up wonky. I just whack off the wonkiness. OK, before that I need to eat some lunch and quilt some more, but THEN I’m going to press these, and after that, I’ll trim them to size. 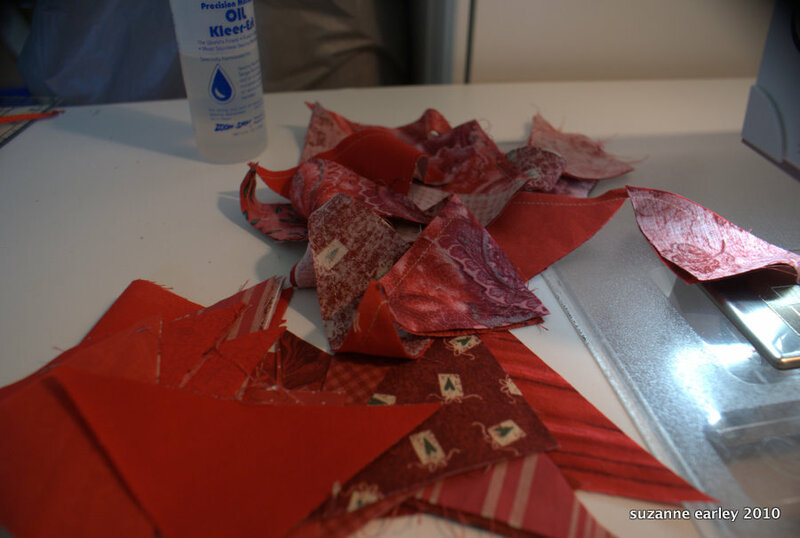 And yes, I did just cut up red squares and then sew them back together to make…red squares. 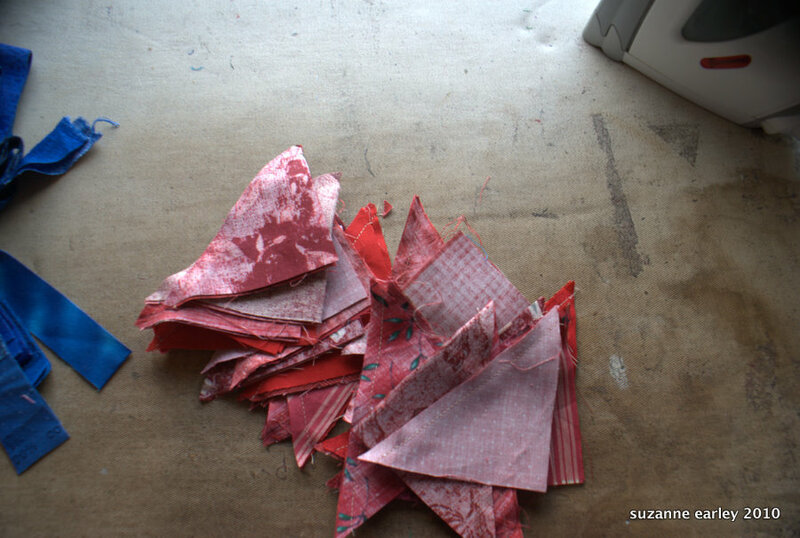 I’m a quilter: one of the definitions of quilter is “person who cuts up perfectly good fabric into tiny pieces and then sews it back together.” Didn’t you know that?